Purchase 4 select Goodyear tires and receive a Prepaid MasterCard valuing up to $80 via Manufacturer Mail In Rebate PLUS get an extra $80 statement credit when you use your Pep Boys credit card! Click here to download rebate form for terms and conditions. **For more details on the Pep Boys Credit Card Offer, click here! From style to safety to performance, tires are one of the most important and specialized features of your ride. Whether you're looking for a dependable everyday tire for the family SUV or an ultra-high performance summer tire for your new sport coupe, choosing the right tire is just as important as choosing the right vehicle. Constructed for everyday reliability, all-season tires are the most common type of passenger tire. Typically designed for use in wet, dry and light snow conditions. All-season tires balance common traction needs with tread life and performance. To learn more check out our all season tires. If you have a sport coupe or performance vehicle that you drive in warm weather conditions, you may want to consider summer tires. Not designed for cold weather traction, summer tires can help you get the most out of your performance vehicle in warm weather conditions and typically feature better speed ratings and grip. Rubber compounds in summer tires perform well in most conditions, including many with tread designs for excellent wet-condition traction and hydroplaning resistance. Extremely cold temperatures, however, can reduce flexibility in the rubber and cause traction issues. 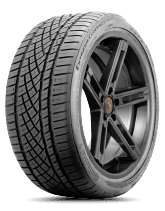 To learn more check out our performance tires. 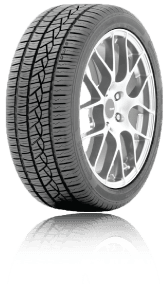 Also known as a snow tire, winter tires provide increased traction on snow and ice and feature an M+S (Mud and Snow) rated tread design. Rubber compounds in winter tires allow for increased flexibility and better cold-weather grip, and extra tread depth improves traction on snow. If you live in a region that is hit hard by winter weather you may want to consider winter tires; just remember that year round use is not recommended because of reduced wear and performance during the dry, warm months. Winter tires come in two basic varieties: studded and non-studded. Non-studded winter tires can typically be mounted earlier in the year and provide a quieter ride while helping with snow driving. Studded tires, however, perform better in icy conditions. 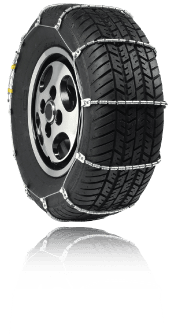 If situational snow performance is more of a concern, snow chains are also an option and can be used in conjunction with your existing tires when conditions require increased snow traction and braking. To learn more about snow chains check out our winter chain collection. Run Flat Technology (RFT) indicates tires that are designed to allow you to drive limited distances for service in the case of a puncture. 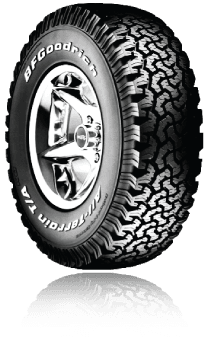 Often designed for trucks and SUVs, all-terrain tires are rated for use on off-road surfaces like mud, sand and gravel. Many tire companies are offering fuel economy and reduced emission benefits from new tire technologies. Tread and traction technologies can play a part in everything from a quiet ride and handling to fuel efficiency and grip. For help finding the right tire for you and your vehicle visit our tires page. A “P” before the tire size label indicates passenger tires. LT is used to designate light truck or SUV sizes. Presented as width, aspect ratio, tire construction and rim size, making sure you have the exact tire size for your vehicle is extremely important. Shown as a number and letter, the load index and speed ratings show that a tire meets minimum standards to carry a certain weight and operate at a certain speed. Light truck tires are branded with load ranges or ply ratings. Uniform Tire Quality Grading Standards that rate a tire's tread wear (represented as a number/percentage of standard), traction (A, B or C) and temperature resistance (A, B or C). To learn more about tire size and ratings details see Pep Boys' Evaluating Tire Features page. For help with finding the right size and tire type for your specific make and model, visit Pep Boys' Tires by Vehicle search feature. Assuming you're not an experienced mechanic with a lift in your garage, tire installation is something best left to the professionals. As always, the experts at Pep Boys are here to help with all your tire needs. Visit Tire Services for a complete list of tire services.